We currently have limited spaces available for one to one sessions with Master Ian. Holder of the World Self Defence title for two years and winner of 17 major titles from a 12 year competition reign. Ian is Senior Instructor to 600 students in the Academy. 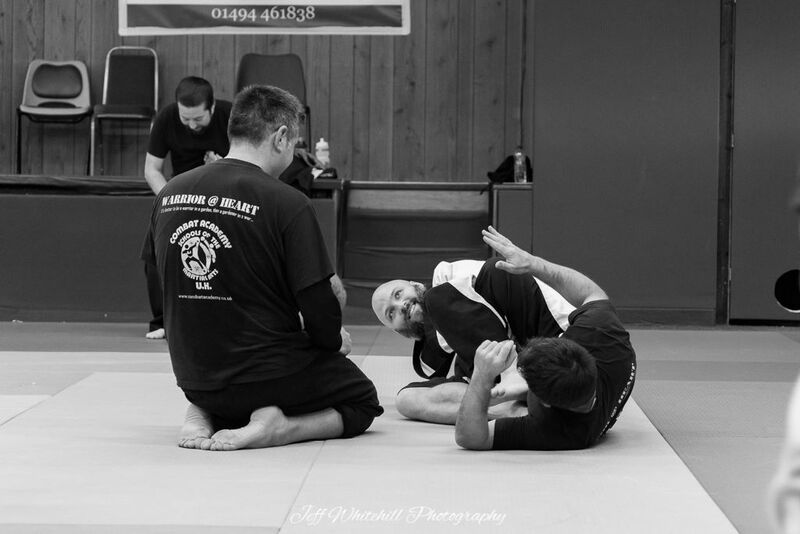 Classes are available for Self Defence, Ju - Jitsu including MMA and ground work as well as Kickboxing. 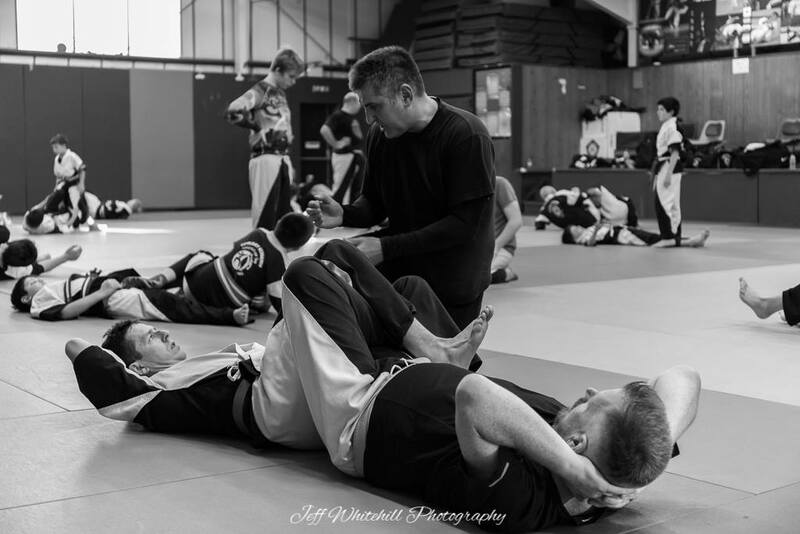 Ian has successfully trained athletes to International success over the past 30 years and holds numerous community awards including the Chamber of commerce Sports Personality of the year previously for services to the Martial Arts. From absolute beginners to high ranking experts, sessions are bookable (subject to availability) in the Windsor, Maidenhead, Slough area. 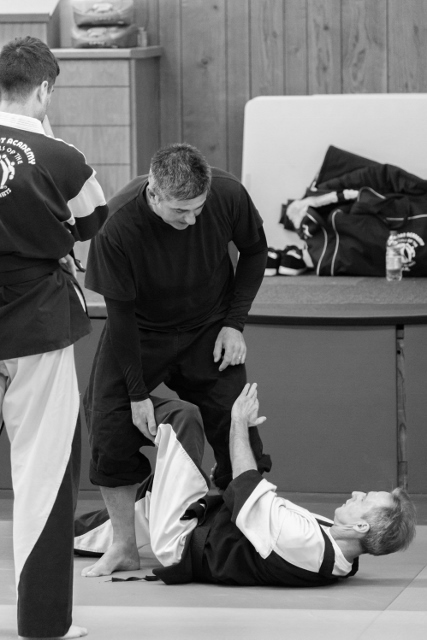 Booking now for corporate, community groups and individuals, our self defence and self protection courses give a firm understanding of the implications and skills required to defend yourself within the law. The sessions are a mix of theory and practical sections to help individuals understand their responsibilities and rights within section 76 of the Criminal Justice and Immigration act 2008 common-law self defence. Fascinating concepts of the mental and physical skills required for effective self protection including the psychological elements of assaults and intimidation. Ian has over 30 years of experience in the provision of first aid. Working in fast moving public services with over 2 million people per year, Ian has a vast range of experience in managing a wide range of incidents from cardiac arrest to the birth of his own daughter! Very much at home in front of large and small groups alike, Ian has a world class delivery of a relaxed, informative style coupled with a sensitivity for the individual that will equip your staff, colleagues or teammates with the confidence and the knowledge to provide first aid when the time comes. All First Aid qualifications are delivered via Qualsafe who are both Ofqual regulated and Ofsted approved and are based on the HSE training standard for delivery of First Aid at Work courses for the purpose of the Health and Safety Regulations 1981. The aims of the qualifications are to enable learners to attain the knowledge and competencies needed to deal with a range of emergency first aid situations. Learners should be able to demonstrate the practical administration of safe, prompt, effective first aid in emergency situations with an understanding of the role of the first aider. There are no formal entry requirements in order to benefit from the learning.